I'll be making some changes to my web haunts over the next few weeks, starting with a new profile image on my facebook page. 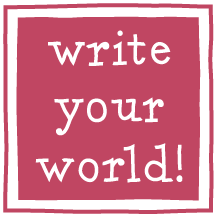 Write your world! Also on the agenda: a new home for this blog and a new approach to the journal pages in my shop. I hope you'll stay tuned!